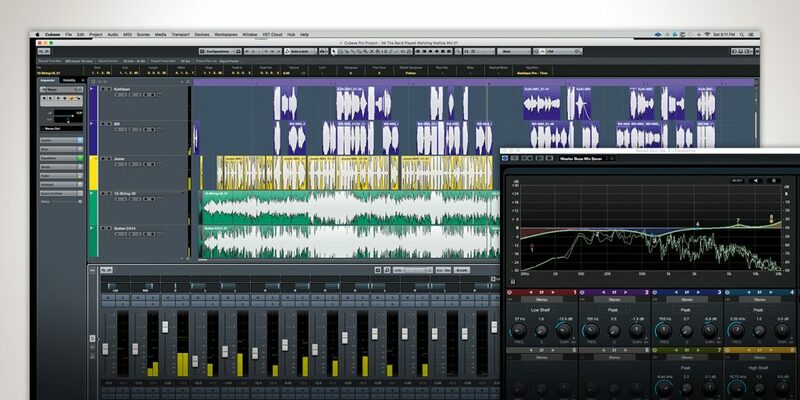 In our previous review of Acoustica Mixcraft 7 (April 2016), we found it to be a great DAW for beginning Windows producers, yet one that had the kind of professional production (and performance) functionality that could make it useful for everyone. At the Winter NAMM show this year, I had the opportunity to get the lowdown on the newly released Mixcraft 8, and wanted to update our readers on what I’ve found. Each version of Mixcraft comes to the plate with a few standard improvements: updated user interface, more plug-in tools, or better OS support. However, with the version 8 release, we see some important updates—some of them obvious, and some of them subtle. One of the demands on software developers is maintaining compatibility with current versions of the computer’s operating system. Acoustica has the same demands, but has decided to use the opportunity to rework the core of the software, and to also provide some interesting new features. One of the important additions to the Mixcraft audio engine is its support of VST3 plug-ins. Long supported by Steinberg and others, the VST3 infrastructure puts plug-in makers in the position to create much more flexible tools. VST3 support improves the performance, automation capability, and routing functions of plug-ins. It’s supported by iZotope, Waves, and Softube—among many others, and with many more likely to follow. Moving forward with technology is important for DAW users, and it is great to see Mixcraft supporting this forward-looking standard. The UI has also undergone a revamp, with interface skins based on theme selection. More important, in my experience, is that the interface just seems to work better with the HiDPI display on my Lenovo display. This is important, since a comfortable work environment can help you enjoy the hours that you will spend on your productions. I personally like the default dark interface; it is similar to other software that I use each day, and my eyes are able to pick out details against its muted background. Another update to the UI is not a technical feature, but rather an extension to the way that you access audio files. In addition to accessing the files on your drive, you can do filename searches to quickly narrow down your options (critical when you have a large sample library—like the one that comes with Mixcraft). But even more interesting is the access to files on the Internet, and particularly access to the multitude of samples available on FreeSound (freesound.org). FreeSound is one of the truly great audio content sites on the net, and the variety of available files is stunning. These files are also easily accessible, given the search function built into the application’s library pane. One potential downside to using net-based sound files is potential problems with licensing. When using samples from FreeSound, you can see what the license limitations are before you select a file—and you are reminded of your responsibilities when you attempt to place the file into your project. This is more than keeping just you honest—it is also a reminder that, if you are doing commercial work, you must respect the wishes of the copyright holder. Some improvements aren’t necessarily noticeable until you need something. This is the case for the pervasive change in routing within the Mixcraft application. MIDI can now be routed from track to track, giving you the ability to make instrument stacks that are easily managed from the mixer. The mixer itself is also much more configurable, and effects sidechaining is now a top-level function that is directly accessed from every compatible effect in the system. There is also a new function, called Audio Control, that allows you to use audio track as control sources for any MIDI automation parameter. It is kind of magical—you select a parameter, then select an audio source (pre-fader, post-fader or dry), and immediately see it take control of the selected parameter. 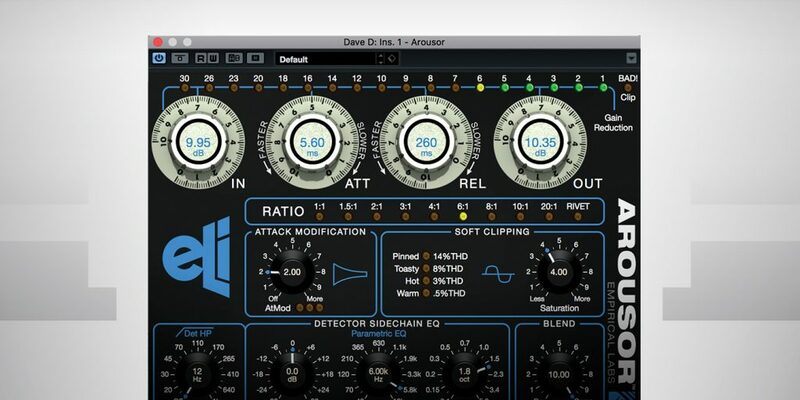 This works great with wet/dry mixes, filter and gain settings to produce a sidechain-like effect. Great fun! One of the standout features of Mixcraft—since its beginning—has been the inclusion of a studio full of plug-in instruments and effects. There are enough plug-ins so that you don’t need to scramble for processors to get started recording. Version 8 includes an added set of processors that further enhance the ‘system’ feel of the package. Since so many of the standard plug-in functions have already been included in previous releases, you might expect these additions to be a little more creative in nature—and you’d be right. At the head of the list is the Epralux ORB7000 Octave Reverb, a pitch-shifting reverb that goes beyond the ‘shimmer’ presets of some reverbs into new territory, with a super-wide sound that ambient-izes (or, alternatively, alien-ates) anything it touches. On the other side of the spectrum is the G-Sonique DTC-1, which labels itself as an ‘Ultra Transparent Track and Bus Compressor’. Where the ORB7000 puts its stamp on everything it touches, the opposite is true with the DTC-1. 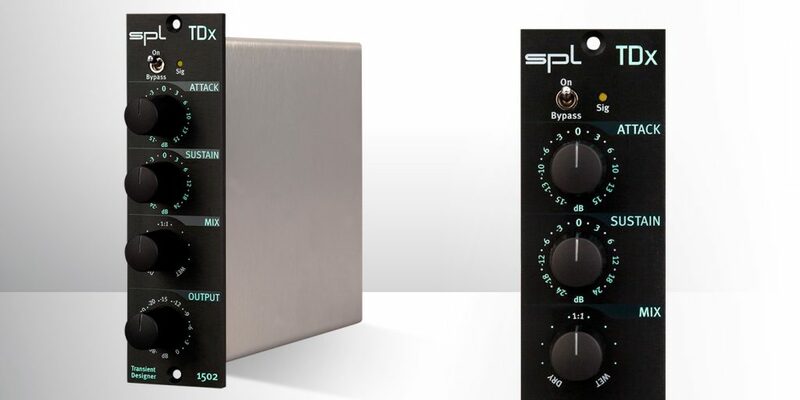 You might initially find yourself overdoing the compression with this compressor; until you get used to watching your track meters… it’s hard to even know that it is kicking in. In many situations (especially when recording acoustic instruments), the G-Sonique totally matches my preference for how compression should sound, and it’s great to see the inclusion of a compressor that’s meant to create my sound, not its own. Finally, if you choose to upgrade to Mixcraft Pro Studio 8, one of the instruments that you get is Kastelheimer Veldberg XD, a specialty synth that has a deceptively simple interface and a decidedly aggressive sound. With a look and sound that is reminiscent of a certain German hardware lineup, this instrument is a perfect pairing for everything from minimal techno to hard-edged industrial tracks. Paired with the loop-launching capabilities of the Performance Panel, one can easily imagine Mixcraft morphing from a relatively standard DAW to a techno production center. Speaking of which: one of the big add-ons in Mixcraft 7 was the Performance Panel, its home for loop-launching functions. To this point, the launching was based on existing loops that were selected from available material; now, you have an additional option of recording directly into a clip location. This takes the already-efficient performance and brings it to the next level. Given Mixcraft 8’s updated routing functions, you can now grab live input as a looped sample and immediately integrate it into a performance-based recording. Another advantage of ponying up to the Pro Studio version is a bit of a stunner—it’s a complete and integrated version of the Melodyne Essential pitch-and-time altering package. If you haven’t used Melodyne, you are in for a treat: in many ways, it’s a bit of magic for your editing needs. If you have a track that can be properly analyzed (meaning, primarily, that it is monophonic—no chords), you are given direct access to each note’s pitch, pitch modulation (slides and vibrato), and timing on a piano roll-like grid. From there, you can change the pitch by dragging notes in both pitch and time, and the audio will immediately play back with the new altered information. Furthermore, you can alter the amount of pitch modulation using some basic controls, so you are able to both ‘fix’ the pitch as well as alter the way the notes are entered, held and released. The options for track fixing are obvious, but the options for ‘created’ alteration are amazing as well. It is easy to take a screaming guitar solo and place wild vibrato after the fact, and equally easy to create a harmonized vocal or even create chord solos by duplicating tracks and altering the pitch on each one to suit. Melodyne Essential is $99 on its own, and would normally be treated like a standard plug-in device in any DAW. But Mixcraft’s integration of the Essential package directly into the editing system means that it is easy to access and less fiddly for complex editing. This one feature is well worth the upgrade cost, and is one of the most creative tools I’ve ever worked with. One of the most important new additions to version 8 is something that is a must-have for my workflow with any tool: the ability to do direct stem mixdowns. One of the keys to successful collaboration is the ability to work with anyone else’s system, and mixing down to stems (full-length files of each track and submix) is key to having your workflow jibe with someone else’s. Once you have individual full-length files, other software users can just drop them into their project and work on the mix without having to worry about synchronization, formatting, or plug-in issues. The stem mixing function of Mixcraft 8 is quite simple. You select “Mix Down to Stems” in the File menu and get a dialog where you select the tracks for output. You can also choose to disable effects, automation, and mixing choices (useful if you are sending the tracks to someone for remixing), and choose the output file format and naming convention. Then you press the Mix button and wait: MIDI tracks get rendered, as do effected audio tracks and submixes, so it can take a while. In my tests, this function worked exactly as planned; I ended up with a folder full of tracks that were drop-in compatible with other software, allowing me and my collaborators to interact seamlessly. This is another nod to the fact that Mixcraft is a fabulous creative tool that will continue finding its way onto the PCs of many artists. In previous articles, we’ve summarized Mixcraft as being ‘Garageband for the rest of us”, while one of the pitches that I heard at the recent NAMM show was that Mixcraft is a “DAW For The People”. While a disarming pitch, it may be that Mixcraft 8 has out-grown its populist position and is becoming a good alternative as an all-around working system. Combining all of the plug-ins and editing tools with professionally-focused functions (like the stem mixdown and more capable automation), there is little standing in the way of having anyone—at any level—look into Mixcraft as their creative system. Additionally, with the continued expansion of the Performance Panel—and especially with some of the exciting plug-in and processing additions in Pro Studio—Mixcraft is becoming an even stronger candidate for people interested in more performative recording. 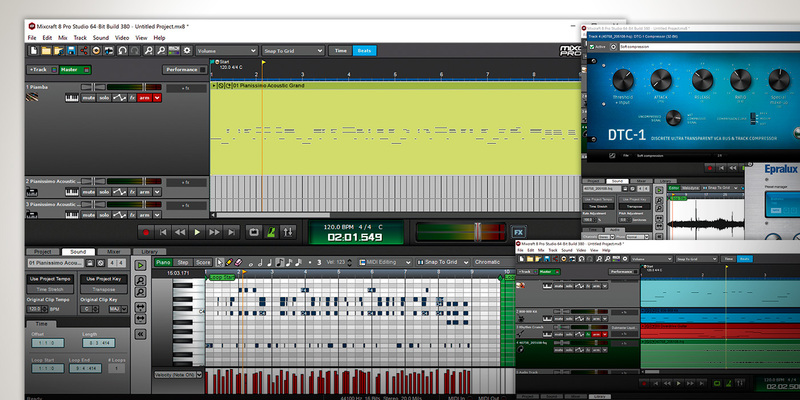 I continue to enjoy working with Mixcraft; it makes working on music within the Windows environment a breeze, and provides a work environment that seems more than capable of accomplishing anything I can imagine doing. If you are Windows-based, and if you want to expand in the directions that Mixcraft makes possible, I can’t imagine it letting you down.